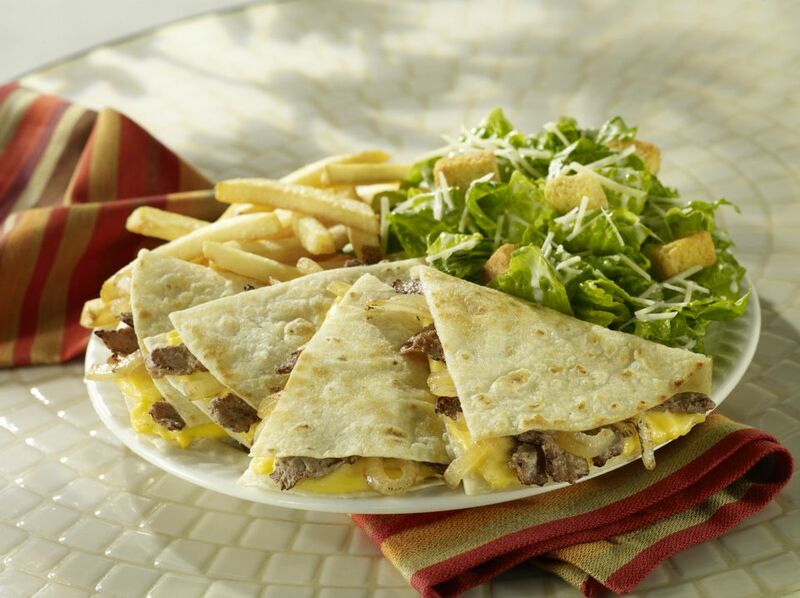 Children and adults alike love oven-baked quesadillas because they are quick to make and yummy to eat. There are so many ways you can create your quesadillas and the kids can help you assemble them since there is no hot stove top to worry about. You don't need a second set of hands to make this meal but it makes for a great way to encourage your kids to cook with you in the kitchen. While you are lining the cookie sheet with tin foil and finding the cooking spray have your child chose the ingredients. You can choose to make the quesadillas plain, which means just cheese and the tortillas, or you can add protein and vegetables. Chicken, either cooked in a Mexican spice over the weekend so it's easy to chop up and cook on a weeknight, or pick up a cooked rotisserie chicken from your local deli on the way home. For toppings, you can use guacamole, salsa, sour cream, Greek yogurt, lettuce, green onions, bacon bits, cilantro, or pico de gallo. For the cheese, this can be personal preference. If you want to keep the dish Mexican combine Monterrey Jack and cheddar. If you want to make this recipe gluten-free you can pick up gluten-free tortillas and make your own spicy shredded cheese combo. Shred your own cheese combo, great arm workout for the kids, and then you can add the spices such as cumin, red pepper flakes, cayenne pepper, or chili powder. Take a piece of aluminum foil that is big enough to cover a cookie sheet front and back. Center it on a cookie sheet. Place two tortillas side by side on the foil. Sprinkle cheese evenly on both tortillas. Place protein option on top of the cheese. Place vegetable option on top of the protein. Spoon about half the salsa over the top, making a very light layer, if you want to make the quesadilla spicy. Cover each stack with another tortilla. Bring two sides of the foil together above the quesadillas, sealing the foil at the center of the cookie sheet. Crimp the edges of the foil to seal along the side of the cookie sheet. Bake at 350 F for 10 minutes. Open foil carefully. Slice each quesadilla in quarters and serve with optional toppings (if desired).